synopsis (EN) Pro Evolution Soccer is a video game built on pride, the pride that comes from making the most realistic soccer experience one can have within the world of gaming. 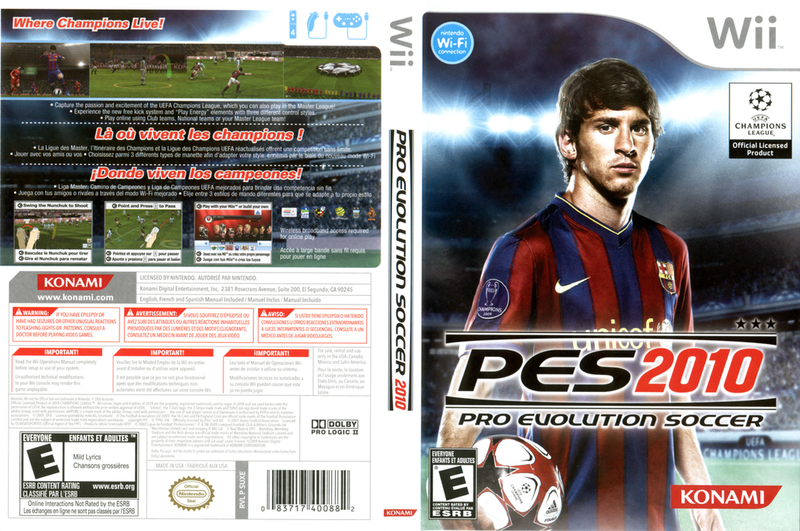 Pro Evolution Soccer 2010 does not disappoint and this year, the voices of fans world-wide have been heard. Based in Japan, Winning Eleven Productions has instituted a host of anticipated changes that make PES 2010 the best yet. synopsis (ES) Esta nueva edición del ya legendario simulador de fútbol incluye nuevas características que hacen de la temporada 2010 la más realista hasta la fecha, gracias al uso revolucionario del sistema de control de Wii que te permite dictar el flujo del juego con mayor precisión.